Ok, the war against clutter is never really over—you’ve got to stay on it!—but you can make sure you don’t lose any ground. Your most important move? Rally all your troops: This isn’t a one-person campaign. 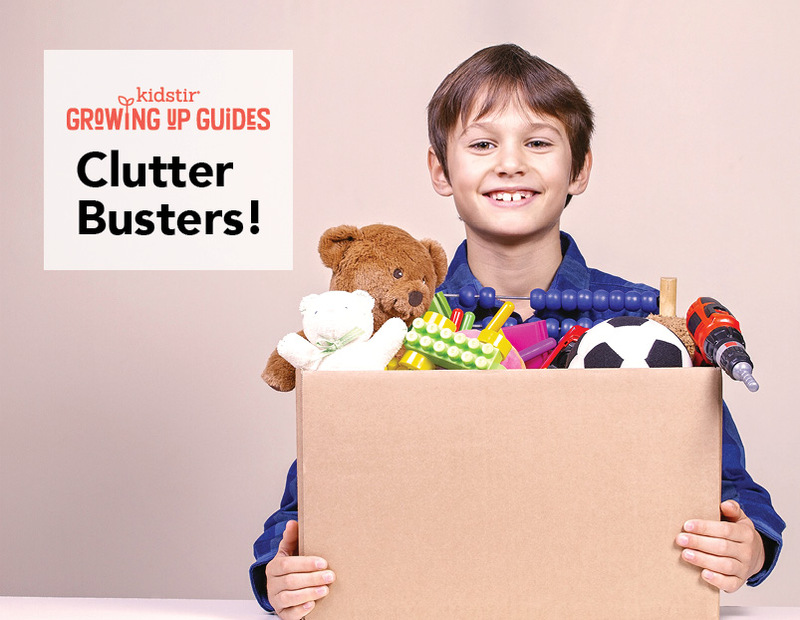 When kids support the anti-clutter cause, they practice important life skills, such as organization and even time-management. After all, five minutes of picking up now might save them 20 minutes later looking for that lost notebook. It won’t happen overnight, but if you start basic training with these four tips, you will win the fight! 1. Give everything a home base. Art supplies go in the art cart. Dolls in the orange bin, blocks in the green. Use labels if you have to! Do a tour so kids see where things belong, then make a game of it. Set a timer for 2 minutes, and see how many things they can put away. 2. Use a stash box. This can go next to your stairs or in the room where kid clutter collects fastest. Before it’s time for bed, have the kids do a quick lap and pick up whatever’s out of place. They can toss it in the stash box until they have time to put them away. 3. Implement the floor rule. As in, the room doesn’t have to be perfect but everything needs to off the floor at the end of the day. Clothes go in the hamper, pillows back on the bed, books on the shelf. You get the idea. 4. Do a weekly blitz. Set aside 30 minutes on the weekend when everyone is home and tidy up room by room. Recycle any old paper or mail, have the kids empty their stash box, put away laundry, whatever needs to be done. Half an hour is hardly torture (no matter what the kids say!) and you’ll be able to accomplish a lot! Next post: Should You Pay for Chores?